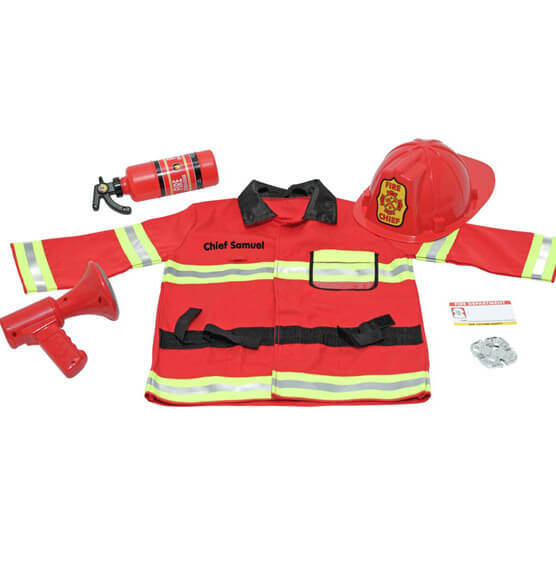 Melissa & Doug® Personalized Fire Chief Costume Set offers everything an aspiring firefighter needs in an emergency: a bright red, machine-washable jacket trimmed with reflective material, a fire chief helmet, a "fire extinguisher," a bullhorn with sound effects, a shiny badge, and a name tag to personalize. 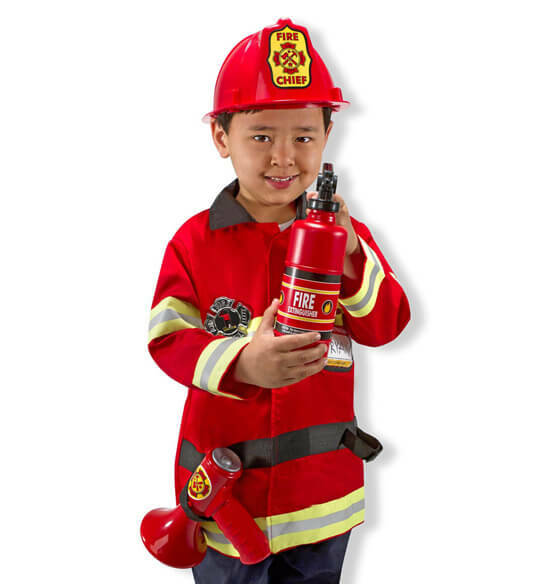 Fits ages approx. 3-6. Express shipping not available. Please allow 2-3 weeks for delivery.